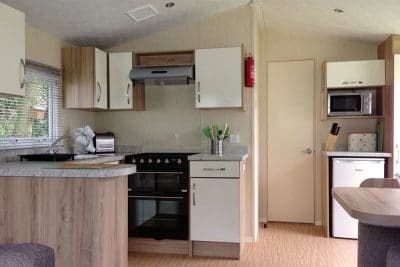 Facilities at Lime Tree Holiday Park near Buxton in the Peak District. For top quality, modern facilities in a beautiful rural setting, Lime Tree Holiday Park is hard to beat. We put all our effort into making your stay as comfortable as possible and our friendly staff are always on hand to answer questions, making this fully equipped holiday park perfect for relaxing holidays. We are pleased to offer a selection of discount vouchers which can be redeemed at a variety of local attractions, pubs and restaurants in Buxton. It’s a 20 minute walk or a low cost taxi ride, as we have negotiated a fixed taxi rate to anywhere in Buxton centre for £4.50. Alternatively you can hop on the Discover Buxton tram which leaves from reception into the town centre under an exclusive deal with Lime Tree Holiday park. Our friendly reception staff will answer any questions, and provide information, maps and ideas for local walks, places to eat and even local takeaway menus. A range of pitches suitable for camping, caravans and motorhomes. A choice of beautiful, well equipped self-catering lodges, apartments and caravans. A purpose-built adventure playground for children with a swing, slide and other rides for energetic youngsters. A games room with pool table, kiddies corner, television and DVDs to keep everyone occupied whatever the weather. A large, open field near the non-electric camping area and a large dog exercising field. There are also some great dog walks and dog friendly pubs nearby. A freely accessible Wi-Fi Hotspot Zone in the information room and near reception. A village-style shop selling a range of food essentials, camping supplies, toys and other useful items, and access to a Morrisons supermarket just down the road. An on-site local farm butchers open at the weekends. A book exchange area where you can select a good read for those relaxing evenings. A Calor and Campingaz exchange point. Two clean and tidy amenity blocks with toilets, hand basins and free showers. A laundry room with coin-operated washing machines, dryers, ironing facilities and a sink suitable for hand-washing. Freezer facilities for freezing icepacks. Exclusive to Lime Tree Park, hop on the Discover Buxton tram from reception and journey to Buxton town centre.